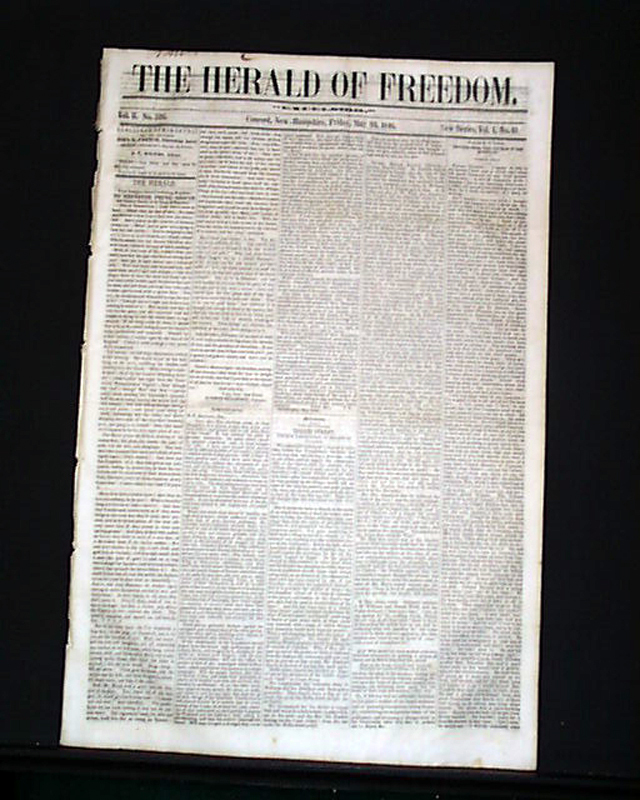 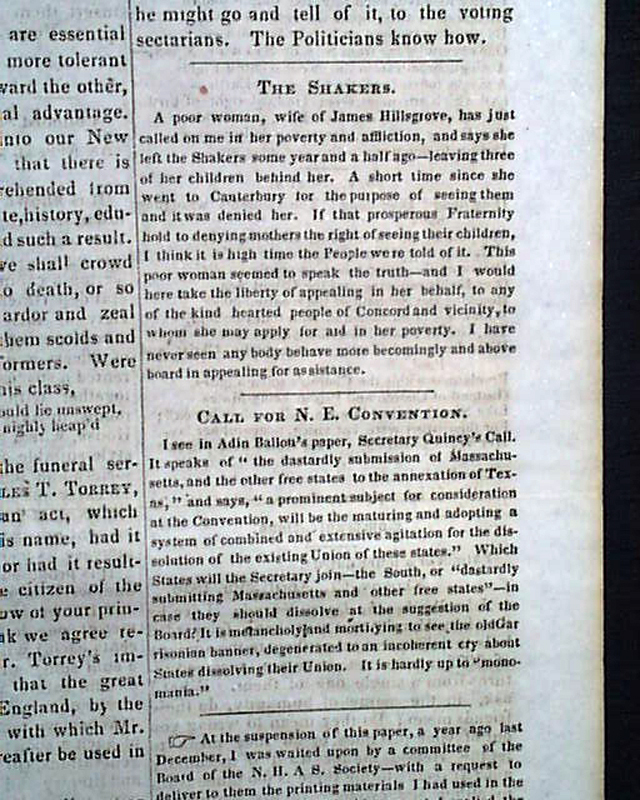 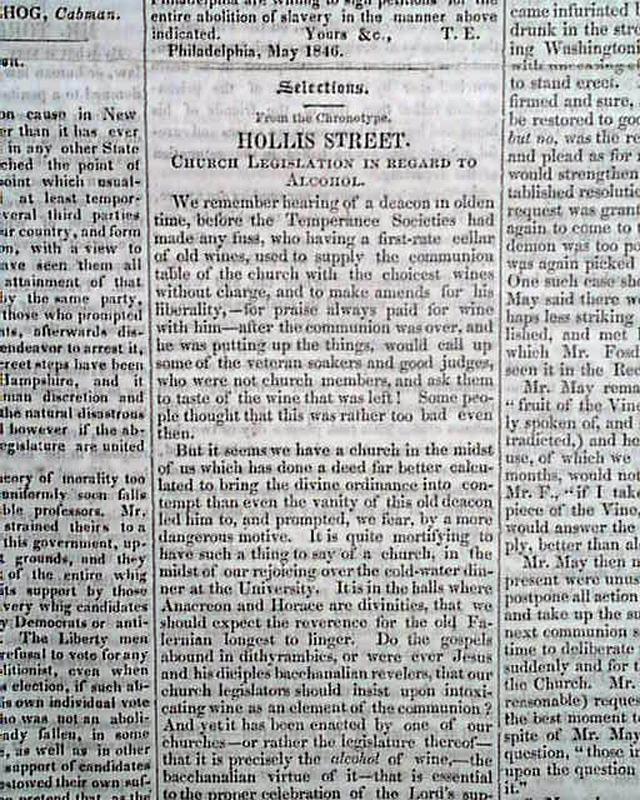 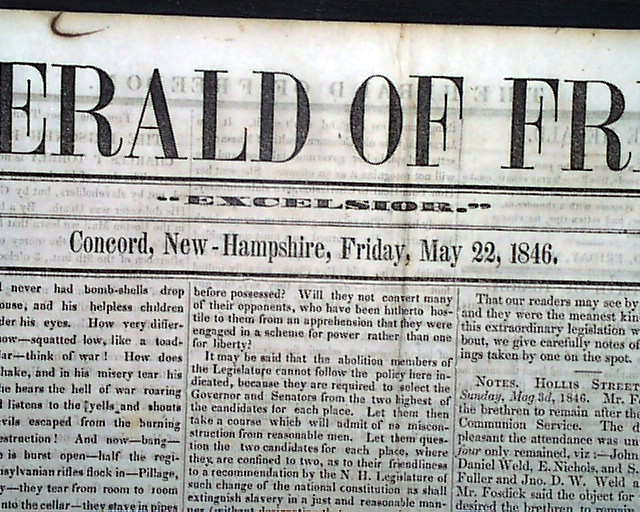 THE HERALD OF FREEDOM, Concord, New Hampshire, May 22, 1846 A semi-monthly anti-slavery newspaper done by Nathaniel Peabody Rogers. 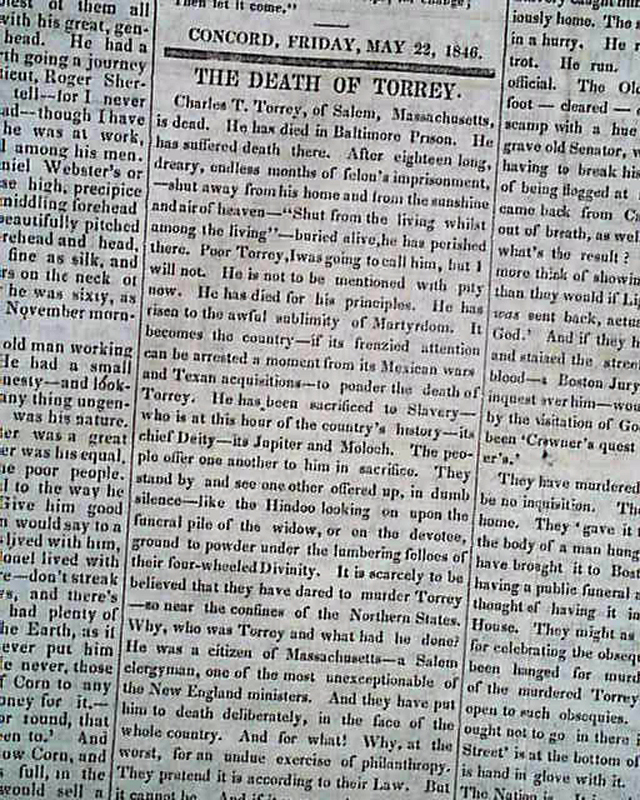 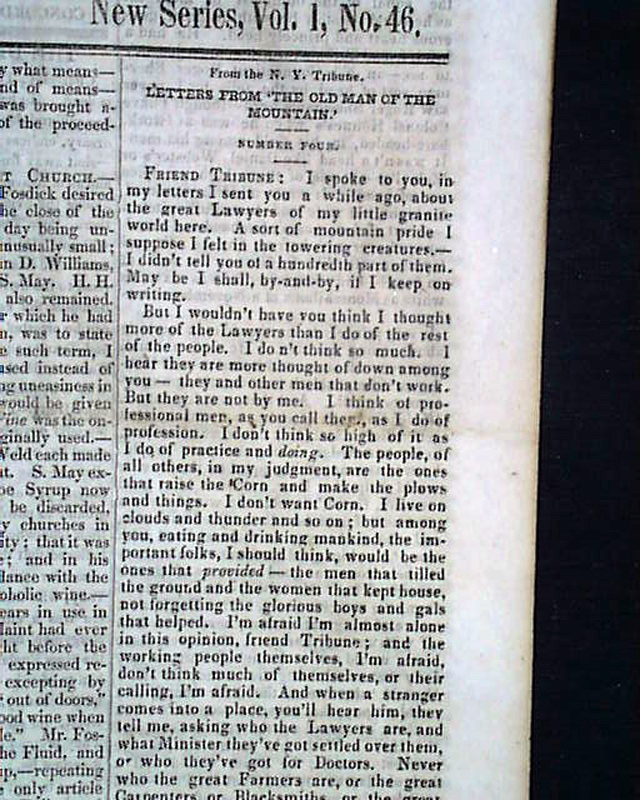 (see hyperlink for much on him & the newspaper) Articles included are "Letters from 'The Old Man of the Mountain'"; "The Death of Torrey"; "President Polk's Piety"; "The Shakers"; and more. 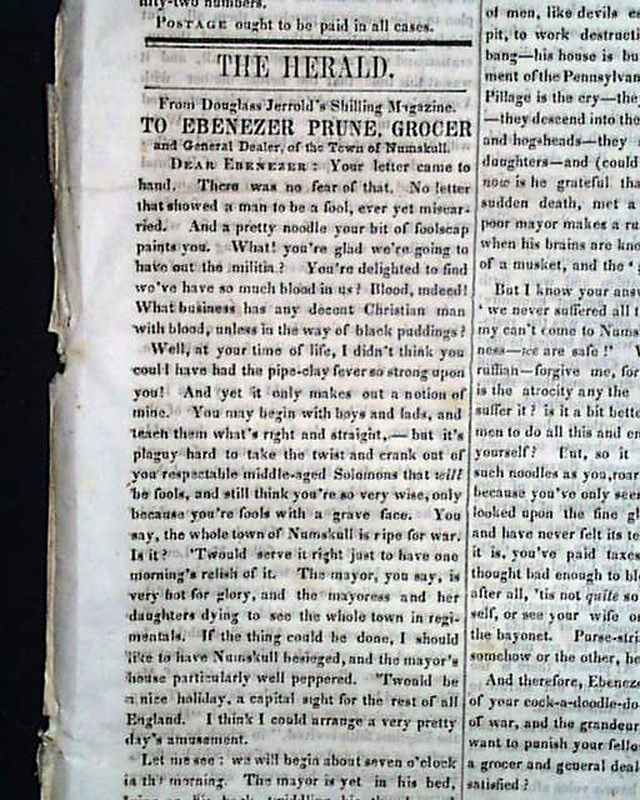 Four pages, lite foxing, otherwise in nice condition.